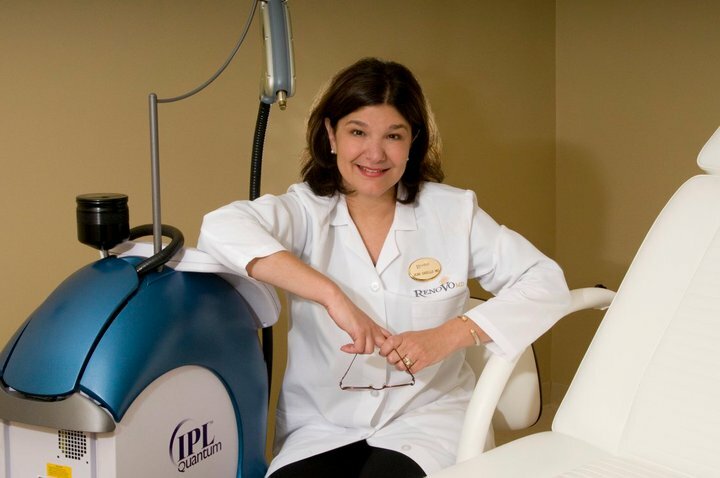 Dr. Jean M. Casello entered the world of the cosmetic industry with uncertainty, which paved the way for a flourishing practice. Can you tell us more about the daily operations of your clinic? Our clinic is composed of an office manager, receptionist and a part time in-house marketing director. The office manager takes care of the day to day running of the office. On the clinical side, I am on site full time and I have a full time esthetician. We are in the process of hiring another esthetician and a nurse to do the injectables. We offer comprehensive services: fillers, Botox, IPL, LED treatments, fraxel resurfacing, electrology, skin tightening, sclerotherapy, permanent makeup, chemical peels and pharmaceutical grade products. We have recently added tattoo removal. Our patient population is mostly women from 40-70 years old. We also have a fairly large population of teenagers with acne. About 20% of our patients are men. We are located in Shrewsbury, Massachusetts. We are in a small town about 40 miles outside of Boston. 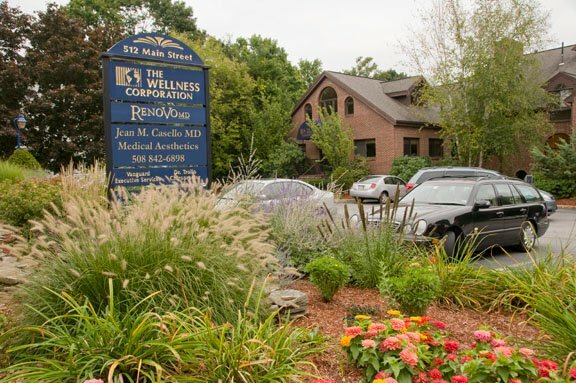 We see patients 4 days a week in this office and one day a week at our off site offices in Franklin, MA and Leominister,MA. Can you give us some insight into how you you and manage your staff and what you’ve learned? When hiring new people I try to be proactive and anticipate the needs of the practice. Since we are a small practice, it is important for people to be cross trained. I like to hire people with experience and maturity. The important thing for me is that the individual be a team player and the staff gets along with this individual. I think positive energy influences the atmosphere of the clinic. My staff is treated equally and valued. We have monthly staff meetings and everyone’s opinions are heard. My staff is well compensated. I do not believe in commission. My feelings are that everyone works hard, as a team, to gain a patient’s trust and business. I feel commission fosters competition and resentment among the staff. Based on monthly revenue, staff is given “RenovoMD bucks” to use to purchase services (at cost) in the office. It is important to let individuals go quickly who are not working out. We have had estheticians, a nurse and a nurse practitioner that we had to terminate because of various reasons (another story!). What laser technologies are you using and what are your thoughts about these devices? We have a Lumenis quantum IPL and the 810 diode for hair removal. We also have Coolsculpting and Fraxel restore for skin resurfacing and we use the Pelleve for skin tightening on the face. We recently purchased a Medlite for tattoo removal. I usually base purchases on what the needs of the clinic are and what the patients are asking for. I will purchase something once I see a need for it. I learn about the technology by attending meetings, reading journals. If the technology is something I am interested in, the office manager will set up an appointment with the vendor for a demonstration. So far all the technologies we have purchased have been very successful. The CoolSculpting is somewhat limited by the size of the hand pieces and is not good for small areas. The Pelleve is very good for the face and neck but not useful for the body. The nice thing about this machine is we can use it for many different things depending on what hand pieces we use. We are currently looking in to something better for skin tightening on the body and possibly the liposonix to add to the areas we can do for fat reduction. Other technologies that I have been watching closely are for cellulite reduction. I also think that PRP and stem cells are the way of the future. What marketing strategies have worked well in your practice? We market our clinic in a variety of ways. We have a part time (could be full time) marketing director who was also an esthetician. She manages all of our marketing needs. In the past we have hired marketing companies but I feel they really did not understand the business. Currently we are putting our monies into improving our website, SEO and social media. We still do an occasional print ad in local publications. We donate a great deal to charity events and sponsorships. In the past we have tried open houses, print ads sponsorships, radio ads and patient incentives. We have been very successful with small informational seminars. Radio ads have given us some response and we are open to trying this again. Word of mouth is the best advertising and treating your patients well. What treatments are the most lucrative services in your clinic? The most profitable treatments for us at this time include injectables, fraxel resurfacing and CoolSculpting. I can see that our tattoo business is growing and I know that skin tightening will be very successful. When I started in this business my colleagues were incredulous-what is cosmetic medicine?? I think the field is constantly growing and is exciting to be part of it. I have learned that no matter what age or one’s socioeconomic status people want to look and feel good. I have learned to listen to people-hear and focus on what is important to them, not just what you see. I also underestimated the emotional component of cosmetic medicine and the difference you make in people’s lives when they feel confident about themselves. What advice would you give to other physicians based upon you experiences? My advice is this, don’t think if you buy it, patients will come. It takes a lot of hard work to build a practice. Don’t think that you can do this part time-it is not an add on to an otherwise busy practice. Train and read constantly. Attend meetings. Things are constantly changing. You need to be up to date. Know what your patients want and need and offer them several options. Be the best at what you do rather than offering everything. Refer to your colleagues when necessary if they have something you don’t have. Grow slowly. The biggest mistakes I made were listening to consultants who I thought knew more than I did. Follow your gut but ask for help when you need it. Outsource stuff you aren’t good at or don’t want to do. Treat your staff and patients well. 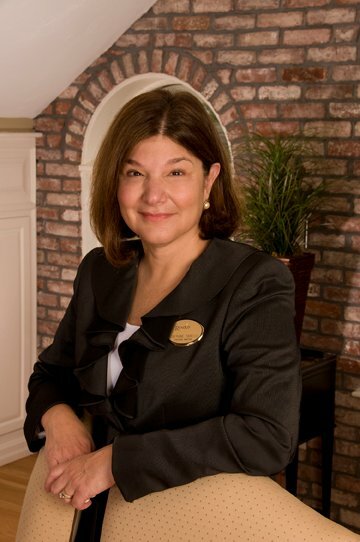 About: Dr. Jean M. Cassello has been a practicing physician for 25 years. She was trained in Internal Medicine. She started to get interested in cosmetic medicine several years ago when she started to see the term “med spa”. The idea intrigued her as she was an artistically inclined person. The idea of combining art and medicine in a non surgical interested her. As she looked into this, she realized that there were new and innovative technologies that were not available when she trained. While initially the term med spa appealed to her, she felt that there was more to it than just some Botox and fillers. She decided to devote full time to this, base it on a medical model and offer comprehensive non invasive procedures. Getting training initially was difficult. There were not a lot of training programs available. The east coast is very conservative. She had to seek out other practitioners who were able to teach her-mostly cosmetic surgeons and dermatologists on the west coast. Eventually, she was able to join professional groups. When she started, the term cosmetic medicine was not used and it was unheard of for a full time physician to be on site. She gave up her internal medicine practice to devote to this endeavor. Many of her colleagues thought she was crazy. Happily to say, her practice has continued to grow and they are constantly adding new technologies.